As you can see, my Dream Emmy Ballot experiment took a backseat to real life. I still want to get these out before the Emmy nomination announcements on July 19, so I'm giving it the old college try. Next up is Outstanding Lead Actress in a Comedy Series, and this is going to seem a bit by-the-book with a "not-so-surprising" surprise. What can I say? I'm a fan of Zooey Deschanel and I pretty much enjoyed everything she did on New Girl and never tired of her adorableness. Sure, the show had some bumps early on, and Zooey became less of the draw as Max Greenfield and Jake Johnson took over, but she's still the core and I have zero problems admitting that I felt she was one of the six best comedic performances this year. I don't really care for Girls, but much like Louis C.K., Leena Dunham deserves to be rewarded for getting her show on the air. Heck, she deserves a nomination just for putting up with all of the half-assed backlash that she had to endure, but also because her show had something to say and worthy of some of the hype even if it really didn't jive with me as a viewer. Plus, she (along with the aforementioned Louis C.K.) was responsible for the overuse of the word "auteur," and that should be worth something. She's Tina Fey. That's all the convincing I need. Go ahead and blame my Glee bias for Lea Michele's inclusion on this list, but I sincerely thought that she had a good third season. Of course Rachel's character had some major missteps this year, (ex. the Christmas episode), but Michele still made her one of the most entertaining characters in my opinion. 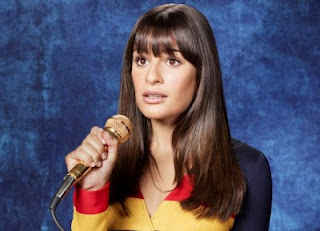 Glee's strong string of episodes towards the end that really showcased Michele's talents didn't hurt either. I added Martha Plimpton to my dream ballot for the same reasons I had Garret Dillahunt on my Lead Actor list. Virginia Chance also tip-toes the line of heart warming and absurd, and could easily be a cartoon character, but Plimpton somehow pulls it off and makes it all work. Parks and Recreation had another strong year, and it was mostly due to Amy Poehler. The whole "Knope for City Council" arc could have been too much to put up with, but Poehler was able to keep things crazy enough, funny enough and squishy enough that it didn't wear out its welcome. Her writing and directing chops were also spot on, and hopefully this will be her year to take home the gold. So there you have it. Those would be my top six contenders for Outstanding Lead Actress in a Comedy Series if I controlled the Emmys. Agree? Disagree? Who would your nominess be?